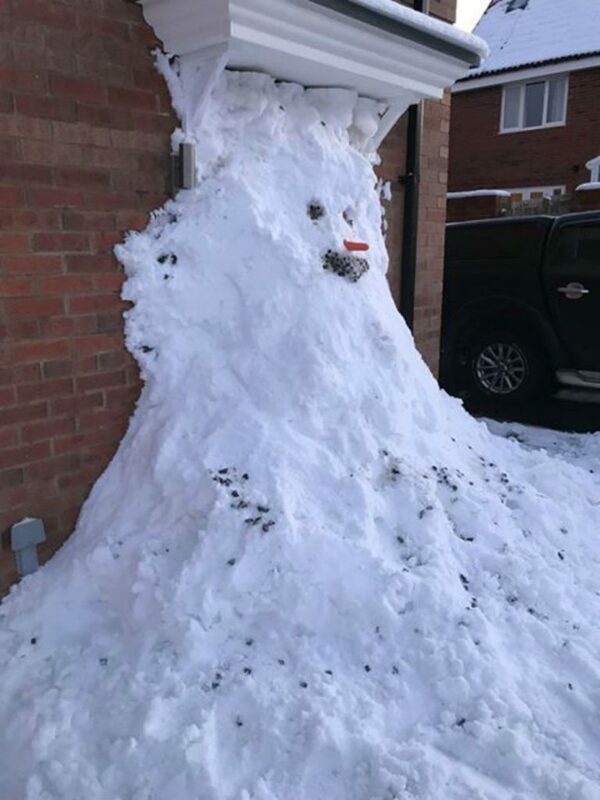 AN ex-soldier took hilarious revenge on his brother-in-law for constantly pranking him by blocking his front and back doors with tonnes of snow. Garry Jefferies suffered the indignity of having his face covered with marker pen and his car covered with sticky notes thanks to Lee Swordy. 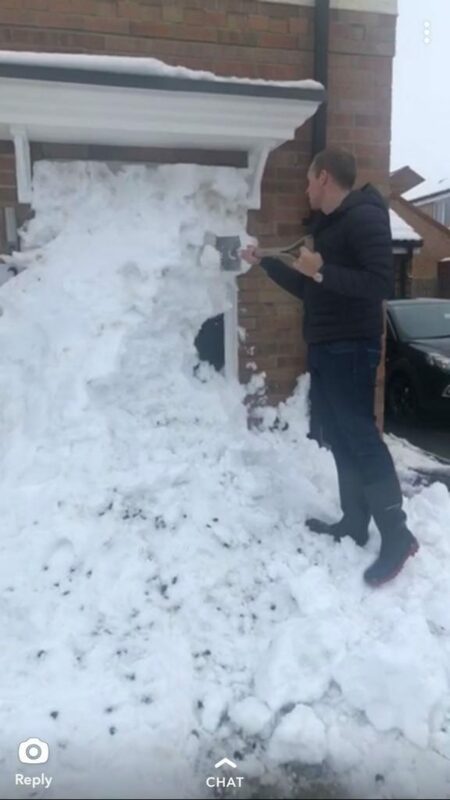 But Lee got a taste of his own medicine during the cold snap when he returned home and had to literally dig his way in with a spade. 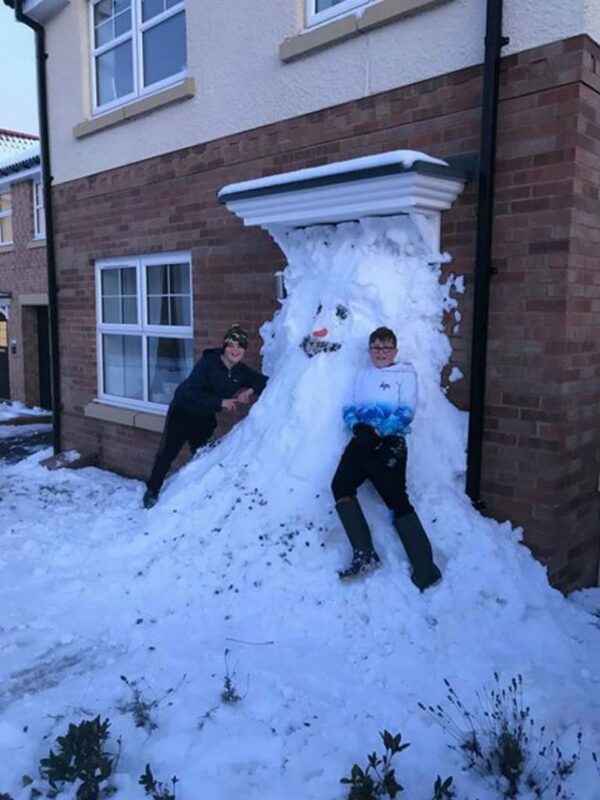 Garry, 42, piled up the snow to create a giant “no-go man” that completely blocked the front door of his home in Alnwick, Northumberland. It was the same story at the back door. Pictures and video show how Garry enlisted the help of sons Alfie and Jack, to create the obstacles. Garry posted the snaps to social media together with a shot of his sleeping face covered in marker pen. Garry today (Tue) admitted that he probably started the feud. “I put a black scratch sticker on his new Audi and then he decided to cover my entire car with sticky notes,” he said. “Three or four months after that him and his wife then decided to cover my entire face with permanent marker. Describing the latest antic, Garry said he and his kids found the prank hilarious, but is slightly worried about reprisals. He added: “We were crying with laughter. We could see the neighbours looking through the window and one even came over and asked what we were doing. He said of his sister and brother-in-law, also from Alnwick: “They weren’t angry, they were just shocked at how deep it was. “I was told, ‘You’ve crossed a line and there will be paypack’. Previous articleHow A Fitness Routine Can Change Your Life?